Auto Jack Herer is an excellent variety of medical marijuana named in honor of a great man and improved by Neuro Seeds neuroscientists and geneticists. Auto Jack Herer is powerful, strong Sativa dominant hybrid, giving inspirational cerebral feeling and fresh tangy flavor. 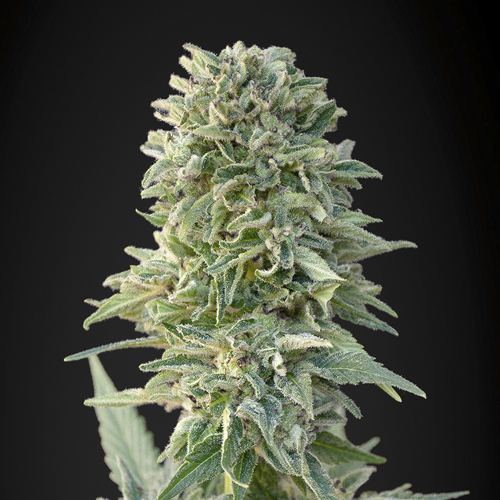 Auto Jack Herer produces receptors that are very similar to those of the original Jack Herer. However, since it is auto-flowering variety, it is possible to be grown almost anywhere. The feminized seeds of the plant will grow quickly after germination and will be ready to be harvested in about 10 weeks. The main psychoactive effect lifts mood and gives creative impulse that is so characteristic to Sativa phenotype, but this variety also gives a relaxing bodily sensations peculiar to Indica phenotype. Auto Jack Herer has a characteristic haze flavor. Fresh smoke with a slightly spicy herbal taste is the same as that of the initial Jack Herer variety. 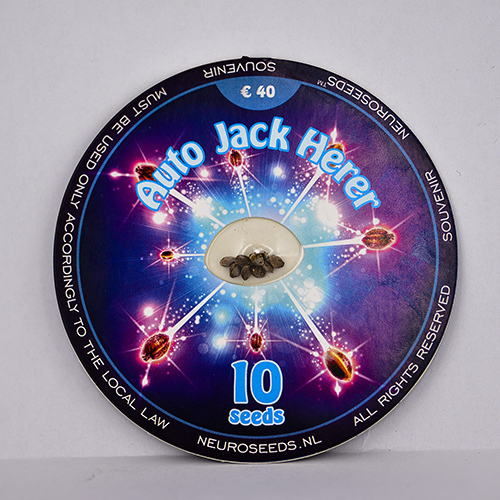 Thanks to the work of Neuro Seeds geneticists, Auto Jack Herer will yield about 40 to 70 grams per plant. It will not grow too tall, reaching an average height of 40 to 90 cm, making it ideal for small spaces. Patients who use medical marijuana Auto Jack Herer will find relief from such ailments like depression, fatigue, insomnia, pains, stress, migraine, anxiety, attention deficit hyperactivity disorder, bipolar disorder, and PTSD.